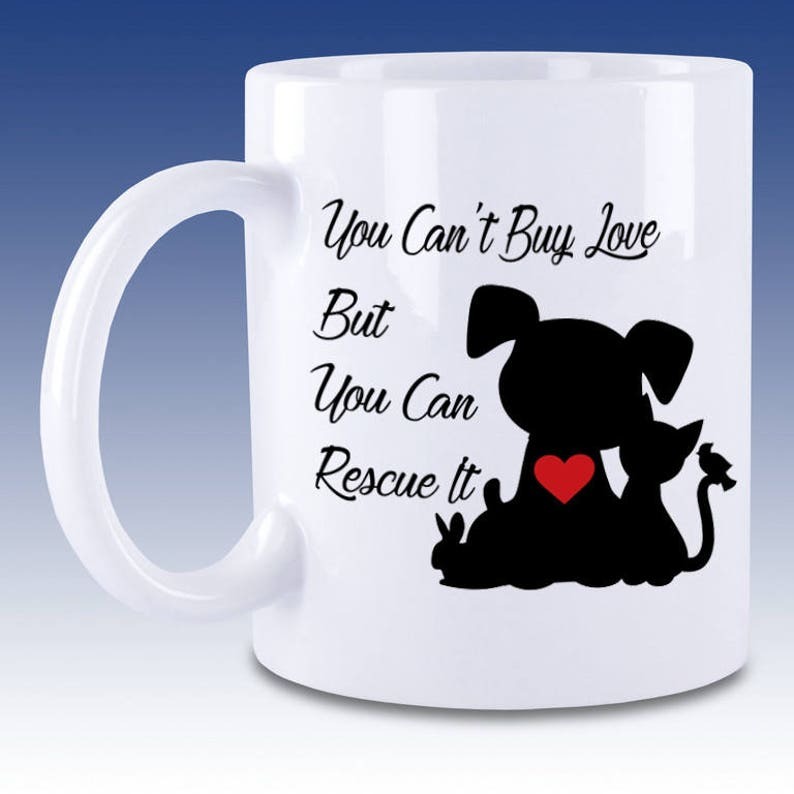 You Can't Buy Love - But - You Can Rescue It Mug this beautiful coffee mug is perfect to show you care. 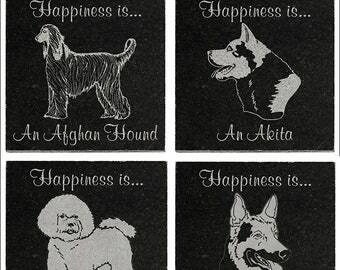 Also makes a perfect gift for a friend or loved one who loves their pet. 11oz Ceramic mug With Design permanently sublimated into the mug. This will not fade or wash off like silkscreened mugs. FDA Compliant, Microwave and Dishwasher Safe, for maximum life of the imaged product, we recommend hand washing. Please specify if you want the graphic facing out while holding the mug in your left or right hand so the design can be properly placed. 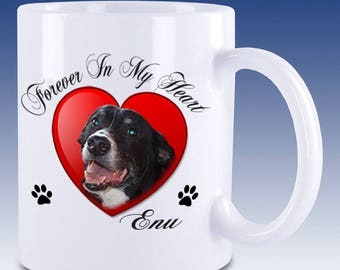 Mugs will be shipped with a white gift box so that you can wrap this if it is a gift. Then carefully packed and shipped via priority mail. Beautiful work! Thank you very much! Seller confirmed all the information sent and generated a mock up for me to confirm. It shipped fast, looks great. 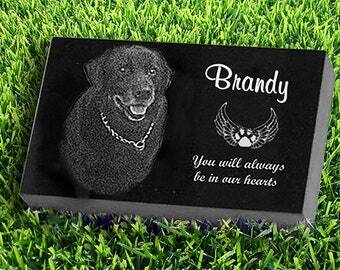 I received my Custom Dog Memorial/Grave Marker yesterday and I am so very happy with it. The workman ship is extraordinary and it arrived on time. The shop is wonderful to work with and I highly recommend them!